The summer of 2018 was a memorable one for a whole host of reasons. Sunbathing in the sweltering heat, enjoying endless barbeques, and watching football nearly come home. We basked in the sun, topping up our sunburn and enjoyed picnics in the park. For some people, however, the part of this scorching summer they’ll remember the most is turning on the tap at the kitchen sink, only for nothing to come out. Or maybe, after a long day in the sun, they headed up to the bathroom – only to find they were stood under a dry showerhead. If they were lucky, there might have been a little trickle, powered by very low water pressure, but certainly nothing powerful enough to wash the shampoo out of their hair. These water shortages were particularly severe in Manchester and its surrounding areas. The Wayoh Reservoir in Lancashire usually contains 500 million gallons of water to supply half of the drinking water to Bolton and its surrounding areas. This means that, at full capacity, the reservoir serves the needs of 200,000 people, but extreme temperatures this summer caused higher-than-usual rates of evaporation. This, combined with shockingly little rain, made for exceptionally low reservoir levels. In fact, the bed of Wayoh Reservoir was actually visible in places. 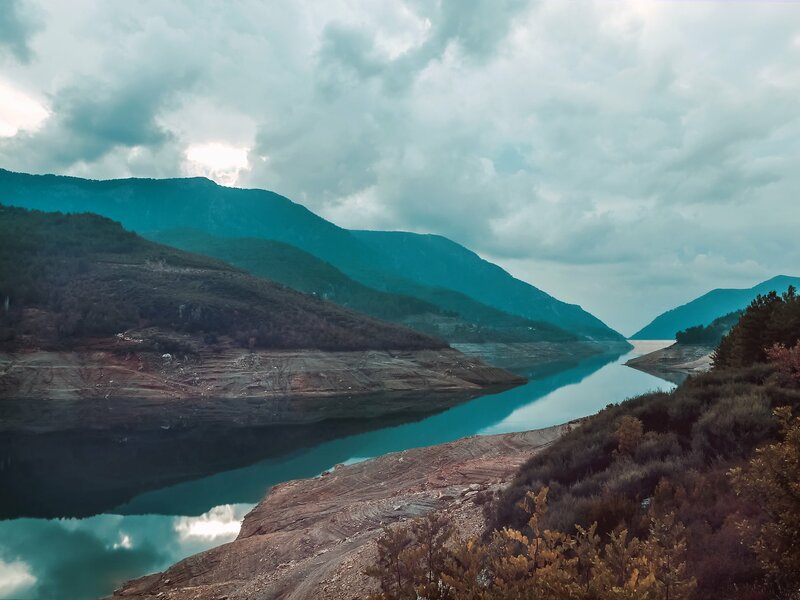 United Utilities reported that reservoir levels in the region were 17% lower than in the same period in previous years, which is no wonder given that the UK as a whole only experienced 73% of average rainfall levels for a typical summer period. June 2018 was the hottest June for 40 years. Demand was at an all-time high last summer, with people using around 200 litres of water a day per person, compared to the usual 153 litres. The times of peak usage are 7am-9am, and 5pm-8pm. During the heatwave last summer, Northern Ireland experience a 30% increase in demand for water. In June 2018, 15mm of rain fell across the country which is 75% less than usual. The South East region experienced 3mm of rain which was 95% less than average. Three billion litres of water a day are wasted each day across England through leaks – equivalent to 1.5 baths of water per household. Further to this, Thames Water lose 2 bath fulls of water per household per day in leaks. The heatwave of last summer, and the water shortages that followed, required water suppliers to action some contingency plans to mitigate potentially disastrous effects. Severn Trent supplies water to a large area of England, from the Bristol Channel to North Lincolnshire, and the Cotswolds to Chester. Last summer, homes in Shropshire, Staffordshire and Derbyshire were without water as demand across Severn Trent’s network far outstripped dwindling supplies. The provider asked their customers to take shorter showers, refrain from using garden hoses, and even set up bottled water collection points as there was no tap water. One quick solution was to deploy trucks to pump 300 million litres of extra water directly into the network. United Utilities, suppliers of water across the North West of England, focused on moving water around their network, drawing from areas where supplies weren’t quite so low. Their specially-designed “integrated network” allows them a greater level of flexibility in moving water around different regions, pumping it directly to where the need is higher. Last summer, United Utilities drew water from Wales, the Lake District and the Pennines to make up for the near-empty Wayoh Reservoir’s shortfalls around the Bolton area. Overall last summer, they doubled the amount of extra water being pumped into the system to 500 million litres, while SES Water (serving Surrey, and parts of Sussex, London and Kent) called on an extra 238 million litres. On top of sourcing greater volumes of water, suppliers were also driven to threaten hosepipe bans unless customers cut consumption by 5%. Behavioural changes such as avoiding washing cars and windows, and not taking baths are crucial in times like these.